Mix marinade ingredients together. Put ribs in a container and pour marinade over them. Cover and refridgerate for 6 hours to overnight. 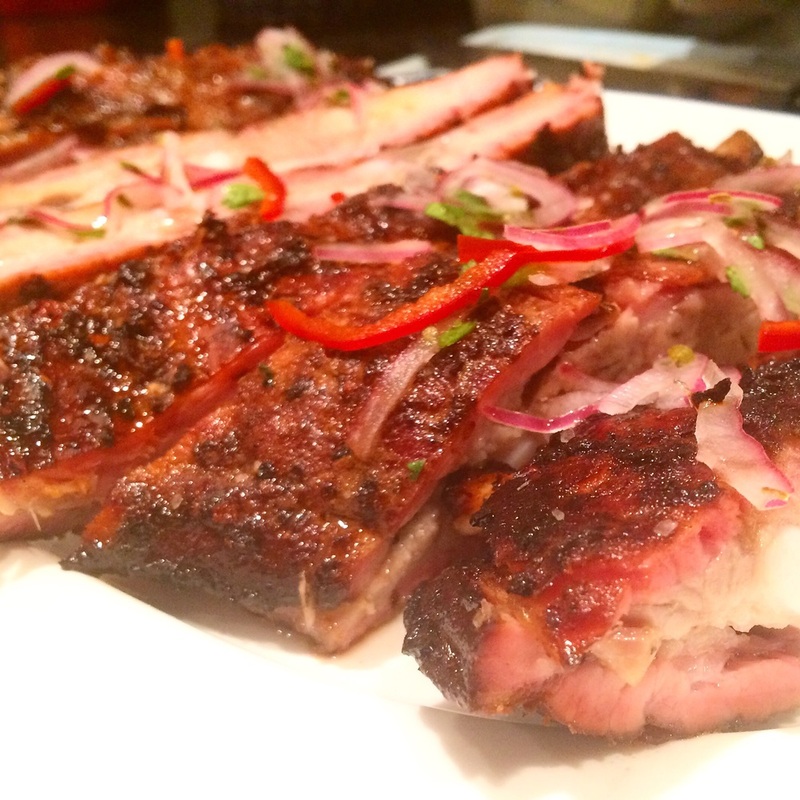 After marinating the ribs start prepping your smoker. The temperature should be between 225 and 250 degrees throughout the smoke process. We only a small amount of wood chips to stay away from too smokey of a flavor. Put the ribs on and let cook for around 5 hours or until tender. In the meantime make a relish to go on top of the ribs when you serve. Soak the onions in iced water for five minutes to crisp them. Remove from bowl and drain. Add the chile, cilantro and lime juice to a bowl with the onion. When the ribs are tender and falling off the bone remove from the smoker. Garnish with the relish and Enjoy!